Those who tried Turkish Breakfast at least once, know that there’s nothing better. Similarly, Chef Emre’s Turkish Brunch will delight just about anyone. Chef Emre's mom's Sunday dish. Charred oyster mushroom and buttery potatoes Sunday morning special. 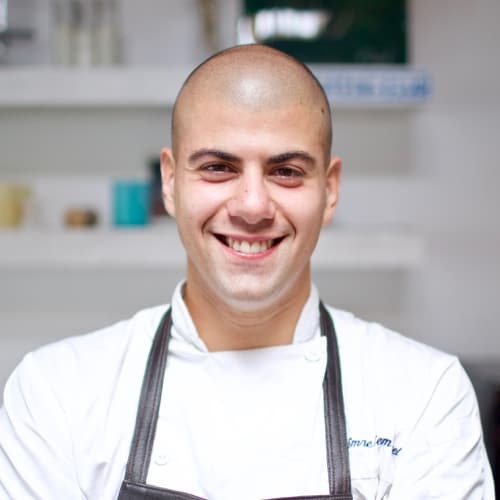 Chef Emre will cook from the heart, using recipes he learned from his mother from the age of five! Dishes so delicious you’ll want to stay at the table for hours enjoying more and more bites coupled with delightful conversations over cups of traditional Turkish tea. Warning… You won’t be able to stay away from your phone - lots of Instaworthy moments to photograph!